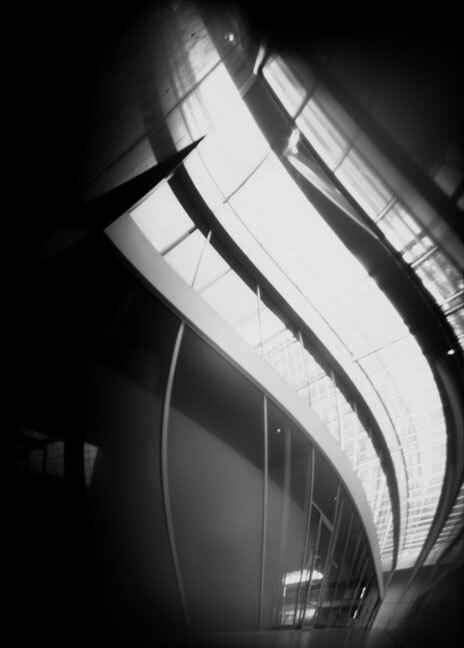 In 2007 Cork County Council commissioned me to photograph the new extension and redevelopment of the County Hall, completed in 2006. 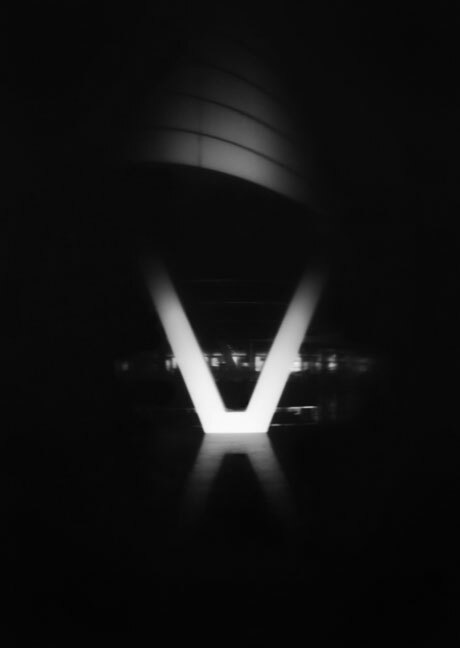 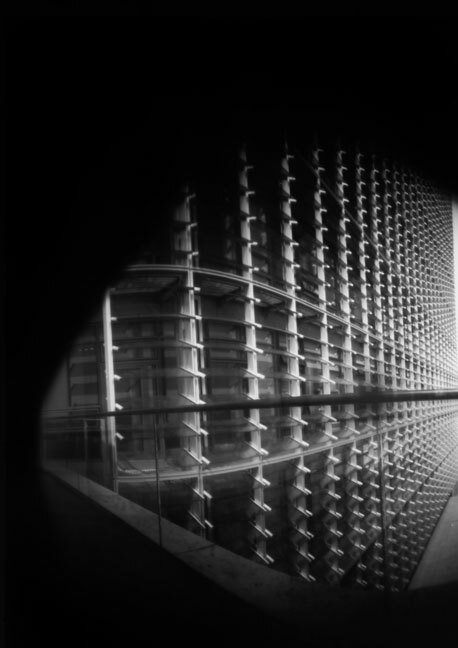 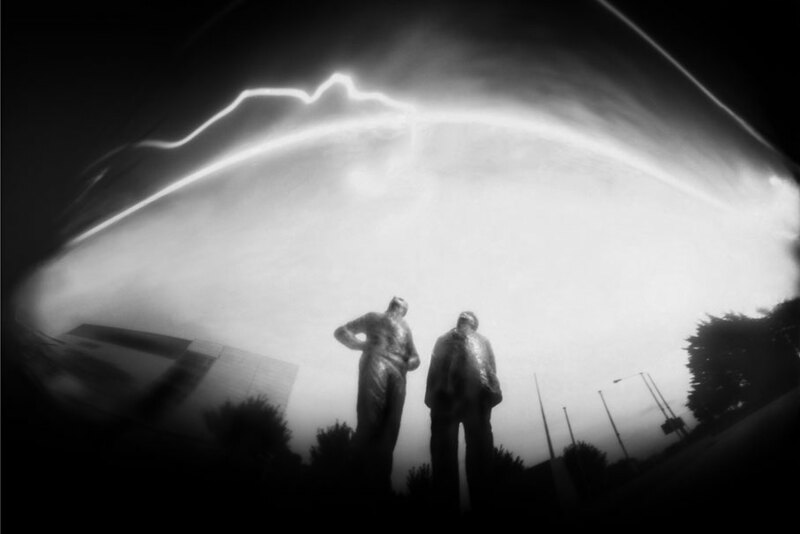 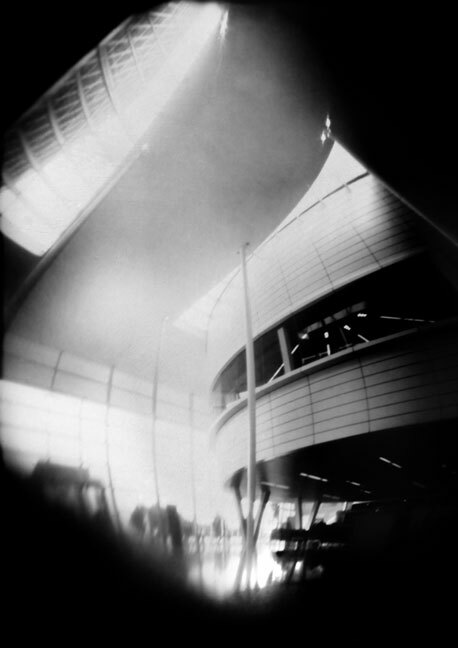 The new atrium and environmental responsive fa�ade, prompted me to record it using my hand made pinhole cameras. 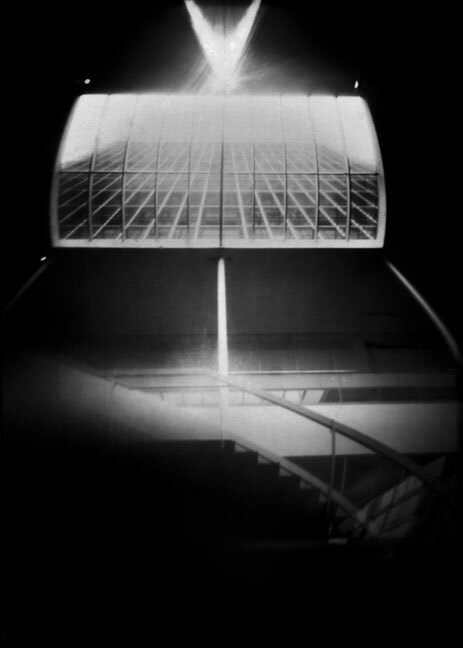 The format of the cameras enabled the inclusion of the interior features, particularly of the atrium and meeting chamber, and allowed me to explore less conventional angles and locations to record the spaces.